Great US-friendly online casino with plenty of action. Long history of fairness, security and prompt withdrawals. Our FreeSpin Online Casino review investigates whether this casino site is really the free spin paradise it claims to be, or whether you should be wary of terms and conditions put in place to limit your fun and how much money you can make. Overall, we like the site. However, our FreeSpin Online Casino review demonstrates why you should not always pick an online casino by the size of its first deposit bonus. First of all, let´s get the legal stuff out of the way. FreeSpin Casino is licensed in Curacao and allows players from most jurisdictions to register an account (although not the UK). The site launched in 2004, is powered by the software of Realtime Gaming (RTG), and has a good reputation for fairness and security. If you encounter any problems, the site´s excellent Customer Service team is available 24/7 via Live Chat. The FreeSpin Online Casino client can be downloaded onto Windows Computers (Windows 7 or later) or played via a web browser. There is a mobile compatible website, but if you have an Android mobile device, you will enjoy a better gaming experience downloading the app. At the time of writing our FreeSpin Online Casino review, there is an app for Apple mobile devices in development. At the start of our FreeSpin Online Casino review, we mentioned that you should not always pick an online casino by the size of its first deposit bonus, and this casino is an example of why. FreeSpin Online Casino offers new players a 250% bonus on their first deposit up to $2,500 (minimum deposit required $25.00). The bonus has a play-through requirement of 30x the bonus and deposit amounts combined. Therefore, if you were to deposit the maximum amount that qualifies for the bonus – i.e. $1,000 – you would have to stake $105,000 before you can request a withdrawal. The play-through requirement is not that bad compared with some other online casinos we have reviewed. However, the first deposit bonus appears to be the only bonus offered by FreeSpin Online Casino that doesn´t actually have any free spins attached to it, whereas there are plenty of daily, monthly and special bonuses that do. If free spins is your thing – and quite honestly, we don´t think you would be reading a FreeSpin Online Casino review if it wasn´t – you would be better off making the minimum first deposit and clearing that bonus, before taking advantage of the daily, monthly and special bonuses with the free spins attached. Although the bonus percentages may not be as good, you could make more money from the free spins. Another reason for taking advantage of the daily bonuses is that, if you claim a daily deposit bonus five times between Monday and Friday, you will be awarded an extra 100 free spins at the weekend. You are limited to how much you can win with your 100 free spins (5x the value of the free spins) and you have to play-through your winnings forty times before you can withdraw them, but it is still a good offer. Whichever way you decide to take advantage of the bonus offers at FreeSpin Online Casino you will be spoilt for choice with the excellent selection of RTG casino games available – although please note that some of the bonuses are game-specific. Each of the hundred or so slot games has a description explaining it features, how you activate them, and whether or not the game has a progressive jackpot. Some of the table games also have progressive jackpot prizes – which is unusual for an online casino – and you can put your poker skills to the test in the video poker lobby, or your luck to the test in the specialty games lobby where you will find games such as bingo, keno and roulette. No matter what type of casino games you like to play, you will always find something to entertain you at FreeSpin Casino. Deposits at FreeSpin Casino are immediate and can be made using Visa, Mastercard, American Express or Bitcoin (you have to contact Customer Support first if you want to deposit using Bitcoin). There is a limit of $5,000 per week on deposits, and after your first deposit you will receive a call from Customer Support to verify your ID. Verification still needs to be submitted before you can request a withdrawal. Withdrawal requests typically take between three and seven days to process, although your first withdrawal request may take a little longer. Don´t panic. Your money will be on its way soon. You can request one free withdrawal per week by Visa, Mastercard, Bitcoin or Bank Wire with a maximum limit of $1,000 until you reach one of the higher stages of the FreeSpin Casino VIP Club. The FreeSpin Casino VIP Club is a nice addition to all the bonuses offered by the site. You join the VIP Club at Stage 1 automatically when you make your first wager, and thereafter you receive 1 Comp Point for every $10 you bet. Once you reach Stage 2 or higher, you start receiving Comp Points at a faster rate, plus get free chips, access to exclusive slot tournaments and other bonuses. At the highest Stage, you can pick up $1,000 in free casino chips, 20% cashback on your losses, better winning limits on the 100 weekly free spins (i.e. 8x the value, rather than 5x the value), a personal VIP host, and invitations to High Roller tournaments. Whatever Stage you reach, you can cash in your Comp Points at the rate of 100 points per dollar and withdraw your cash without play-through requirements. There is plenty to like about FreeSpin Online Casino and not that much you can take offence at. As always, we recommend you read the terms and conditions of playing at the site before creating and funding an account and, if there is anything you don´t understand, ask. The Customer Support team is very, very good and helped us enormously in the compilation of our FreeSpin Online Casino review. Great choice of daily, weekly and special reload bonuses WITH FREE SPINS. Descriptions of every game and their features before you play them. Clear explanation of the withdrawal process for reasonable expectation of when we would get our money. RTG´s table games are not great. It´s is not very often we advise players not to take advantage of the maximum first deposit bonus (provided you have the bankroll to support the maximum deposit), but in this case we feel you would be far better off getting the first deposit bonus out of the way with a minimal deposit, and then taking advantage of the free spins offered alongside the daily, monthly and special bonuses. In this respect, we feel FreeSpin Online Casino is probably better suited to small stakes players rather than High Rollers; but don´t let us put you off if you have a substantial bankroll and you want to take advantage of the special deals available through the VIP Club. 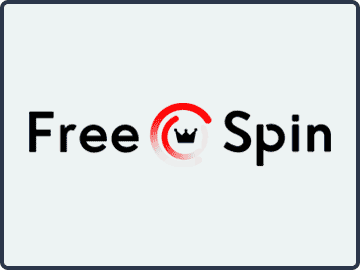 As we mentioned at the start of our FreeSpin Online Casino review, we like the site, and we found nothing that would put us off recommending it to you. Visit Free Spin Casino Now!